Hong Kong is a densely populated nexus for trade and an international hub for business. As such, there is a high demand for a small supply of land. Hong Kong’s overall low vacancy rate means that rental and property prices are usually among the highest in the world for commercial/ industrial, residential and retail. Interestingly, the continued growth in demand for Hong Kong’s limited real estate has seen the development of new models like activity-based working and collaborative workspaces. As a result, start-ups, entrepreneurs and large companies alike, are expressing more demand for flexible workspaces and other forms of shared real-estate. Hong Kong’s real estate market has been facing issues with escalating rates and a decrease in sales for the past several years. The housing market downturn in Hong Kong can be attributed to several factors, including China’s economic state, interest- rate increase throughout the country, and a rise in tension and financial conflict between China and the US. 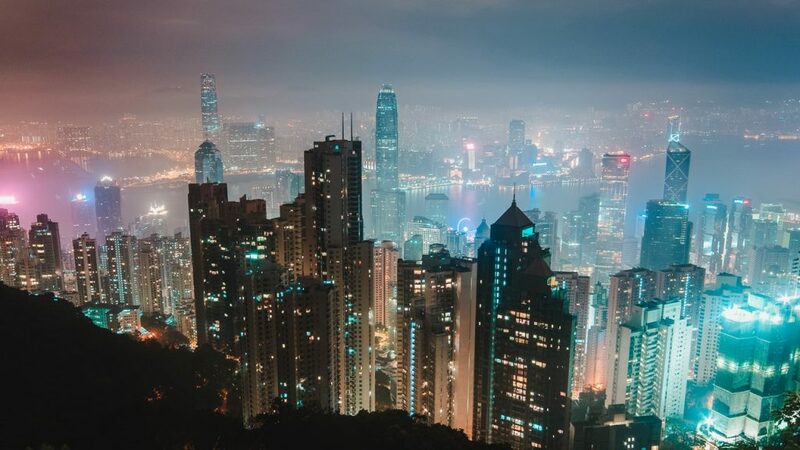 City officials have reported that Hong Kong is currently in a state of “correction,” referring to efforts and discussions in place to change the current economic state and the current downfall in the Hong Kong real estate market. Hong Kong has seen a recent drop in home prices of around 3%, economic signs show that prices will continue to drop in the coming years. The housing market decline can be attributed to many factors. Mortgage applications have drastically dropped in the past year. There was a 56% decline in mortgage applications, the largest decline seen by Hong Kong in the past 20 years. The readjustment and increase of mortgage rates attributed to the massive drop. People are losing interest in purchasing homes in Hong Kong because of the escalating prices. The lack of mortgage applicants is shown highly within the luxury leasing industry. Many wealthy buyers have walked away from deals because of extreme interest rates and very high costs. Many wealthy investors have held out on finalizing deals and have opted to wait until changes in the market are evident. Investors believe that when tensions with the US and Chinese trades ease, prices will be more affordable. Market trends have caused a plummet in sales and transactions. By the end of this past year, Hong Kong was at its lowest level of new home transactions in over 16 months, and housing prices are projected to fall over 25% by the next year. Hong Kong is usually known as one of the most expensive real-estate markets in the world. Inflation of borrowing costs and interest rates have deterred buyers from the market. Investors have expressed concerns over overvalued property and inflated appraisals. Wealthy buyers recognize the gap between the Chinese yuan and the U.S dollar and are fully aware of the tensions between the United States and China, as the U.S Federal Reserve continues to raise its interest rates. Hong Kong’s construction services industry consists of a network of corporate interests such as developers and contractors, government mandated regulatory bodies and professional architects, engineers and surveyors. The corporate interests are characterized by a number of medium-sized local and large international contractors. A high percentage of these companies act as both developers and contractors. Locally, firms that undertake projects worth less than HK$10 million account for some 96% of the industry. Most of these firms act as subcontractors for the larger companies. Recently, the number of larger construction firms capable of undertaking projects with sophisticated technology and big financial investments have grown. On the regulatory side, there are few formal barriers to entry; international and local contractors are both allowed to tender for projects in the public sector. Professionals working in the industry are governed by their respective regulatory organizations. These organizations set and administer professional standards and encourage professional development. Architects register with the Hong Kong Institute of Architects (HKIA) which currently has more than 4,000 members. Engineers belong to Hong Kong Institution of Engineers (HKIE) whose membership is over 28,000 with around half of its membership being corporations. Surveyors belong to the Hong Kong Institute of Surveyors (HKIS). Despite the decline in the Hong Kong real-estate industry, the building and construction market continues to thrive in Hong Kong. Hong Kong companies stand to have a highly coveted reputation in the construction industry. They are known for their speedy project completion times, and their unique techniques. Hong Kong’s excellence in construction has crowned them as a leader in the Asian construction industry. Hong Kong’s construction industry is made up of local contractors, international and oversea contractors, and subcontracting entities. Hong Kong specializes in smaller companies who work closely with their clients to guarantee successful high-class service. Hong Kong construction workers and architects are known for their experience, skills, and excellent client services. The Hong Kong architecture industry is a world leader in high-rise building designs and commercial properties. They are known for their innovative and futuristic designs. Architects partner with engineers to export services throughout the Chinese region. Construction workers, architects, and engineers combine services with project managers, urban planners, and surveyors to provide optimal service throughout Hong Kong and the Chinese region. Architects who practice in Hong Kong are required to register with the Hong Kong Institute of Architects (HKIA), an institution that prides itself on providing quality service throughout the construction industry in Hong Kong. Similarly, engineers who practice in Hong Kong are mostly members of the Hong Kong Institution of Engineers (HKIE), a local group of engineers, established as a government ordinance in 1975. Both the HKIE and the HKIA work together to maintain the integrity of the Hong Kong construction industry. Throughout 2018, the commercial real estate market in Hong Kong saw strong leasing activity. It is believed that this trend is largely due to high demand for space from new data centres, health care firms, the hospitality sector and food processors/cold storage providers. This surge in demand from commercial tenants has effectively reduced warehouse vacancy rate to just 2.9%, the lowest figure recorded since late 2015. In tandem with the record-low vacancy rates, warehouse rents have increased by 1.5-2% on average, year-over-year. Even in light of the strong growth in Hong Kong’s commercial real estate market, it is expected that if the trade dispute between China and the U.S. escalates, it will eventually have a chilling effect on Hong Kong’s commercial real estate. The city serves as a major hub for the re-export of products manufactured in China; most of Hong Kong’s exports are of Chinese origin and approximately 60% of those goods are on the U.S. Tariff list. Hong Kong continues to thrive in the construction realm and great things are on the horizon for construction and buildings in Hong Kong. For the first time since 2016, residential real estate prices declined slightly in the summer of 2018. Contributing factors included a decline in the stock market and rising interest rates. However, because of Hong Kong’s strong economy and labour market, in combination with the low overall credit risk in the financial market, only a small, temporary downward adjustment of prices is expected until early 2019. For 2018, Hong Kong’s high-growth economy in combination with a strong tourism sector led to healthy retail sales. It is expected that new infrastructure initiatives like the Express Rail Link, will help to increase visitor arrivals in the medium to long term. As such, some projections expect retail sales to grow by the order of 8-10% in 2019. Urban planning attempts to guide the development of healthy living and working environments while facilitating economic growth, safety, convenience and the overall well-being of urban communities. Urban planners achieve these goals by planning the controlled development and use of land. Considering the limitations of land resources in Hong Kong, it can be challenging to balance the often competing demands of industry, transport, housing, commerce, recreation, preservation as well as other needs of the community. To achieve these goals, Hong Kong has put in place several Planning Organizations and Planning Systems. The Planning and Lands branch of the Development Bureau is in charge of overall urban planning, building, land in Hong Kong. Taking its mandate directly from the Development Bureau is the Planning Department. This department is responsible for the development, implementation, monitoring and review of land use initiatives at the territorial and local levels. The Planning Department also undertakes land use research studies and initiates actions against illegal or unsanctioned land-use. The body with primary responsibility for statutory planning is the Town Planning Board. This board has several committees which consider proposals. These include the Metro Planning Committee and the Rural and New Town Planning Committee. Much of the information needed to make informed planning decisions is generated by members of Hong Kong’s surveying community, both individual surveyors and surveying companies. As such, the ranks of professional surveyors has steadily grown in Hong Kong. The continued growth in the number of surveying companies practising in Hong Kong is the direct result of an increased demand in the local and surrounding real estate markets in the region. The regulatory environment also seems to be supporting growth within the profession. The Hong Kong Institute of Surveyors or HKIS is the regulatory professional body established in 1984. HKIS has a current membership of around 6,700 surveyors. HKIS recognizes six classes of surveyors; Quantity, General Practice, Building, Property and Facilities Management, Land Surveying and Planning and Development. Recently, three of the divisions of the HKIS, specifically general practice, quantity surveying and building surveying, gained professional recognition from the Chinese mainland. This was an important development because mainland China is the single largest export market for Hong Kong’s surveying services. The success of the construction industry is greatly attributed to the work of urban planners in Hong Kong. China and many developing Asian countries have turned to Urban planning to address the need for infrastructure development, road and traffic issues, housing and port facilities, and overall city planning. The increase of tourism and rapid population growth brings a high demand for new construction projects. Urban planners in Hong Kong and throughout Asia are challenged with issues with environmental protection. Qualified surveyors and reliable surveying countries are in high demand when developing new project plans. Environmental surveyors are needed to plan for green buildings and environmentally friendly projects. Hong Kong city officials and urban planners have worked with the Urban Renewal Authority to devise an environmentally sustainable policy for upcoming urban renewal projects. China has set goals to establish 50% of all new buildings constructed to be green and environmentally friendly. Urban planners in Hong Kong face challenges with growth and changes in technology. Planners and surveyors strive to find affordable and realistic ways to incorporate new technology growth in construction and urban planning projects. 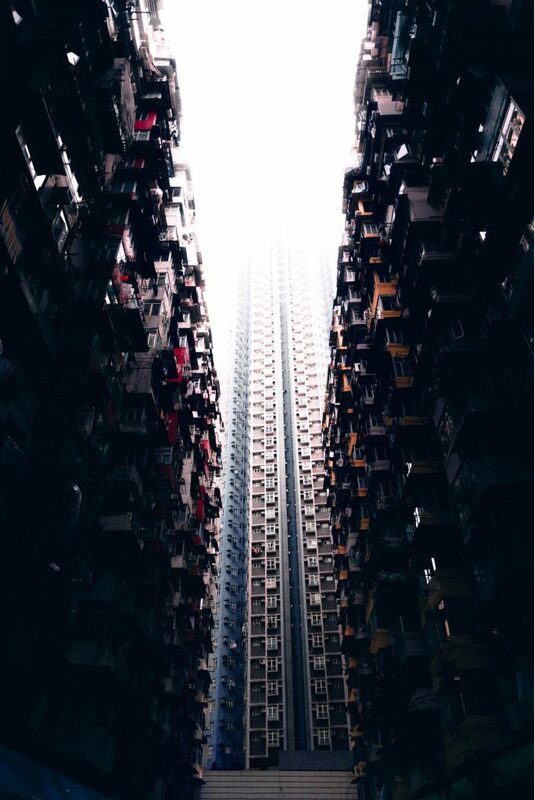 Hong Kong planners and surveyors aim to think of innovative ways to incorporate information technology and building information modeling as a way to increase property value and demand. Because of the high demand for technology and green-friendly initiatives, Surveyors practicing in Hong Kong have increased and opportunities for surveying companies continue to grow. Many international surveying companies have created a base in Hong Kong. Hong Kong is mostly well known for successful quantity surveying and building surveying. As with many places in Asia, Hong Kong has experienced steady growth in short term stays and short term housing. The Hong Kong hotel industry continues to dispute alternative housing options like Airbnb, while residents of Hong Kong have turned to short term property leasing as a way to gain income during troubling economic times. Technically, Hong Kong has deemed rentals under 28 days as illegal in the country, but consumers and residences continue to advocate for the need for short term rentals in the Hong Kong area. Tourism is one of the main pillars of Hong Kong’s economy. Hong Kong ranks ranks 13 out of 141 countries in the Travel and Tourism Competitiveness Index. Mainland China is the largest source market of tourists to Hong Kong. The total number of visitors rose by 9.6% in 2018 Year-over-year. Most of this growth was accounted for by a 12.6% increase in arrivals from the Mainland. Occupancy across the city increased to 91% and Room Nights Sold increased by +7.89% y-o-y. This rise was due to growth in arrivals as well as the lack of new room-stock; just under 1,000 rooms were added to the market. In 2018 Hong Kong recorded 283 registered hotels, with more than 75,000 rooms. The average occupancy rate increased by 3 percentage points to 91% in 2018. While Hong Kong excels in the areas of infrastructure, visitor safety, security and health, it performs less-well in the areas of natural and cultural heritage and price competitiveness. As such, the Government undertook a number of initiatives aimed at encouraging the development of different types of hotel and tourist attractions. These initiatives are an attempt to anticipate and meet the diversified needs of tourists. For example, in the 2018-2019 Land Sale Programme, the Government earmarked specific sites for cultural tourism development. Three of the sites, located at Kai Tak, are projected to have about 1,570 new rooms. The Government consistently strives to increase Hong Kong’s accessibility to visitors. Currently, citizens from 170 countries and territories may visit Hong Kong visa-free. In addition, the Government has instituted the Individual Visit Scheme specifically to allow residents of designated Mainland cities to visit Hong Kong as independent travellers without the need to join group tours. This scheme now covers 49 cities. In Hong Kong, the Government works closely with businesses and stakeholders in the sector. Together they have formed The Tourism Strategy Group. This is made-up of representatives from the Government, various stakeholders in the sector and the Hong Kong Tourism Board (HKTB). This group advises the Government of issues within tourism development. The HKTB is a statutory body tasked with promoting Hong Kong globally as a premier tourist destination. To this end, the HKTB has more than 20 offices around the world. The HKTB commissions research and market studies to monitor industry trends, and shares the information with stakeholder partners. In addition, the Government also established the Tourism Commission in 1999 to assist in coordinating various tourism development projects and provide guidance on matters of tourism policy. In October 2017 the Government released the “Development Blueprint for Hong Kong’s Tourism Industry”. This plan defines a clear vision for developing Hong Kong into a premier tourist destination while maintaining a balance with sustainability and environmental protection. The plan delineated four specific development strategies from which to formulate different tourism initiatives. Strategy 1: To develop a diversified portfolio of visitor source markets for Hong Kong, with a focus on attracting high value-added overnight visitors. Strategy 3: Make use of smart technology to enhance visitors’ travel experiences by providing better tourist services. Also incentivize the industry to implement innovative technologies and services to enhance competitiveness. Copyright © 2018 Ric's Asia. All rights reserved.